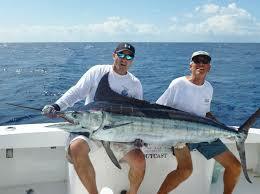 Costa Rica is a great year round fishing destination. Giant marlin, sailfish beyond number, high-jumping tarpon, record-class snook, and a dozen or more hard hitting fresh water species….Costa Rica has them all!! A fishing license which costs $24.00 and is good for one year is required and is not included in the cost of your charter. Most fishing in Costa Rica is of the catch and release variety and the boat crew is responsible for unhooking the fish while ensuring that it doesn’t sustain any injuries. Deep sea fishing for a full day averages from $1,200-$1,600 per boat depending upon the size of the boat, amount of anglers, and time of year. On the Pacific, it’s common to release a dozen or more sails and even a marlin or two in a single day, and not unusual to release more than 20 sailfish a day. There are also dolphin (including the long-standing International Game Fish Association’s all-tackle record 87-pounder), giant yellowfin tuna, wahoo, cubera, roosterfish, a variety of snapper, grouper, blue runners, rainbow runners, snook and much more. The Caribbean Coast offers an entirely different type of fishing, with fine lodges and a even a luxury houseboat accommodating anglers and nature lovers in pursuit of tarpon, snook, and other species. Most operators on the Caribbean have put in bigger and faster boats in recent years, and are now able to go out of the river mouths more frequently when the surf is up and where tarpon often spread out for acres just offshore. The larger boats are also able to make the longer runs to the less frequently fished San Juan River where it borders Nicaragua. For the dedicated fresh water fisherman, Costa Rica also offers literally hundreds of miles of rivers and some lakes that always provide plenty of sport. Lake Arenal, located about four hours away from San Jose, is the most popular and is open to fishing throughout the year. It’s home to the “Guapote” or rainbow bass, a member of the cichlid family, as is the peacock bass found in some parts of South America and more recently introduced to Florida waters. The Pacific Coastal region is divided roughly into the Northern, Central, and Southern fishing areas, with conditions varying with the seasons in each area. In the Northern Pacific, Flamingo Beach, with a full-service marina, is the major sport fishing center, but boats also charter out of nearby Coco’s beach, Tamarindo, Ocotal, Potrero, Brasilito and a few points in between. A bit further south, there are boats operating below Cabo Blanco, out of Nosara, Garza, Samara and Carrillo beach, a region that gets more protection from the winds that normally blow late December into March and April. In the Central Pacific, October is normally the top month for Marlin, but action is also good in September and November and occasional blues and rare blacks are likely to be found anytime of year. Middle of December to the end of April -when they begin moving north- is rated the best season for sailfish, but the big schools often move in about October and occasionally stay longer. A few sails always show among the catch from June through September, mixed with the other species that are found inshore during those months. In the Southern Pacific, August through December is the peak season for Marlin, but an occasional striped, blue or black may be taken most any month if the water temperature is up. A few Sailfish can be taken off and on year round with best fishing from December through march. It often slows from April into early June, then picks up again and peaks in August and September. Marlin – Every month of the year, with mid-November to early March exceptional. Sailfish – Caught throughout the year, with May through August normally the top season. October when the seasonal rains flood the rivers. Marlin – October is normally the top month, but action is also good in September and November. Sailfish – Middle of December to the end of April. Tuna – Found throughout the year but most abundant from about June to September. Dorado – Best action begins with the winter rains that start in late May. Marlin – August through December is the peak season. Sailfish – A few taken on an off year-round with the best fishing from December through March. Tuna – Best fishing for yellowfin tuna corresponds with marlin and sailfish season. Dorado – Best runs are traditionally from late May through October. 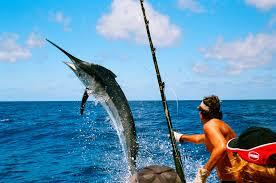 Fishing along the Caribbean Coast can vary more from one day to another than from month to month. When you can get outside to the blue water you will find Atlantic sailfish and occasional Atlantic blue marlin most anytime of the year. Most are caught from February through September. Tarpon – Always around, with traditional high season from December through May, but that was a number of years ago when all of the lodges were fishing with smaller boats and couldn’t get outside the river mouths. Snook – Generally peaks from March through May again September through the end of November. 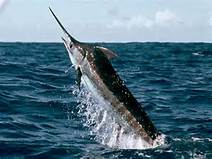 Billfish – Atlantic sailfish and occasional Atlantic blue marlin most anytime of the year. Most are caught from February through September. Dorado – Throughout the year.